Need to get rid of bed bugs? 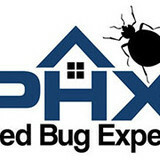 Phoenix Bed Bug Expert offers guaranteed bed bug extermination through chemical and heat treatments. Our treatments come with up to a one year warranty. Call 480-351-6545 for a free estimate. 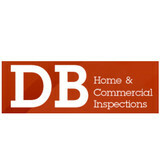 DB Home & Commercial Inspections is a family owned and operated business, and was established solely for the purpose of assisting buyers and sellers, to evaluate the physical condition of their property and to provide the highest quality professional building inspection services possible. This is our only business. We continue to build our reputation, one inspection at a time to ensure you get the quality service you expect from us. We are experts in termite and pest control. Serving the Phoenix Valley for more than a decade, we are committed to removing all unwanted pests from your home. Our affordable prices cannot be beat, and we only use the best and safest products in our termite and pest control treatment. All of our technicians go through extensive training and have to submit to background checks. We're not as big as some of the other guys out there, which saves you money. The Phoenix Termite Experts at Environmental Pest & Termite Control aren't charging you for a fancy name, or lots of advertising, or unnecessary add-on fees, such as annual extended warranties. Instead, we offer you the same quality of pest control as the bigger guys, but at a much cheaper rate. We offer a standard three or five year warranty on our termite service instead of charging for each additional year. We take great pride in our knowledge of termites and other native Arizona pests, and we pass that knowledge onto you as the customer. It's not your job to be an expert on pest control, it's ours. Our technicians do a great job educating you on why you have the pests, what we do to remove them, and how to keep them away moving forward. Our values for over a decade haven't changed. We treat your home as if it were our own. 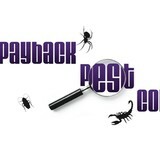 Payback Pest Control is a locally owned and operated Arizona based Pest Management Company that can handle your insect and vermin problems once and for all. Our knowledgeable and professional pest exterminators have the experience, skills, and the expertise necessary to effectively handle any residential, commercial, or institutional pest control need. We are proud to utilize the latest in all extermination methods for the safest, most natural, and most effective pest elimination in the Valley. Years of frustration and dissatisfaction with indifference and a lack of quality services provided by the industry's "so called" major players motivated me to start the company in 1999. I assembled a team of industry experts and began filling that gaping void. My goal then and today is to constantly stress sensitivity and responsiveness towards customer service and pest control, product knowledge, and continuing education. Areas of Expertise: Professionally trained Service Specialists are dedicated to the following pests: Scorpions: There is an abundance of scorpions in our desert environment and their sting is toxic. We cut our eyeteeth on understanding scorpions and their habits, and that experience will keep you and your family safe. Bees: The African Killer Bee is the predominant honeybee found in Arizona and they are known to attack without provocation. Our specialists are well trained to handle any bee situation. Rodents: These critters carry all sorts of diseases, chew incessantly to cause serious damage, and can enter your home through a minute opening. Our specialists can handle any rodent situation. 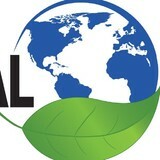 General Pest Control: We handle all pest situations except for termites. The BEEHIVE, LLC Bee and Wasp Removal, is Arizona's # 1 Most Affordable Bee Removal Service. We Have Unsurpassed Experience! Bee Hive Removal is our forte with over 30 years of experience in dealing with bees & bee control. We have served thousands of home & business owners throughout the valley. We practice safe elimination and control techniques, Protecting your family, pets and property from invading Bees and wasp! T2 Pest Services is a pest and termite control company that has over 30 years of commercial and residential pest and landscape experience in Arizona. We only use certified, clean-cut, background checked technicians to quickly and effectively remove pests and termites from your home or business. You can have peace of mind knowing that we will establish three barriers of protection by treating the perimeter, exterior, and interior of your property at each service. Hello, we specialize in the relocating unwanted bee hives without killing them or the use of harmful chemicals. Most new hive removal companies out the simply kill the hive--leaving all of the dead bees and honey right where they had been in the first place. There are two major problems to this approach. 1. The bees are killed. This is more important that most would think as we need bees for our survival. And the number of beehives are on the decline. So SAVE YOUR BEES! 2. All that dead hive, if not properly removed, is now a HUGE attraction to other beehives in the area looking for a new home --leaving you a recurring problem to deal with. AND other pest such as roaches, mice, moths, etc. can move in as well. we've seen it time and time again where a beehive was not properly removed and a new one moved into the same location. What we do is first locate and access the hive. Then we carefully remove the bees along with all of the honey comb and brood (baby bees). We then relocate them to a location in the Arizona desert where they can flourish. Our work is guaranteed. Don't set yourself up for a recurring bee problem by calling an exterminator. If the bees are removed the right way we can almost guarantee that you will not have bees in that location again! *Note* Bees will continue to build and expand if you do not remove them. The longer they stay the more problems you may have, especially in a house--Don't wait! There is nothing to small or too big that we cannot do. Roofs, trees, caves, block walls-- anything. We provide a premium service in both Commercial and the Residential sector. After nearly 2 decades of personal research and development we are currently able to provide some exclusive new technology in the art of expedient rodent elimination and control programs. We are a small family owned business built with integrity and hard work. We treat our customers like family. And with all good service providers we know that the customer and the service provider must work together. How can we turn your home into a bug-free zone? At Green Machine Pest Control, we know bugs don't just nest in the walls. They nest in your yard and beyond. So in addition to putting up a pest barrier around the base of your home and eliminating the pests inside (that's where most of our competitors stop), we take it to the source. We target nesting areas throughout the property to eliminate the problem before it arrives at your door. With over 15 years of knowledge and experience, Arro Pest is your number one pick for all of your pest control needs. We provide our customers the best results with our treatments by properly using the most effective and safest products for targeted pests both inside and outside the home. Understanding the need to adjust techniques and active ingredients based on different seasons, we are able to guarantee protection for our customer's homes, families, and pets all year round. CLEAN UP COMES FIRST Pigeons scavenge for nest building materials and use their own solid waste as "building mortar". This makes clean-up a potential health hazard due to the disease and parasites pigeons often carry. We take great care to clean up all solid waste and remove it completely so you don't have to worry about coming in contact with any diseased waste. After removing all solid waste, we pressure wash the affected area to remove any evidence that pigeons were there. THEN WE KEEP THEM FROM COMING BACK. The key to removing an infestation permanently is to prevent birds from nesting and perching. Proper clean-up is the first step because pigeons will look for their own waste markings as a sign of a safe nesting area. Once clean up is done, we then install spikes, wires, and barricades to prevent pigeons from finding a place to nest, lay eggs, or perch. When the problem areas are all cleaned up and treated with our roof and solar panel friendly hardware, pigeons will usually just move on to an easier target. WE SPECIALIZE IN SOLAR PANEL BIRD PROOFING. Your solar panel warranty is safe since our methods and materials are recognized by all major solar companies. We respect your property and take extra care when working on your roof and around your solar panels. Give us a call today for a free estimate, and eliminate your pigeon problem for good! Unwanted guests are never fun, especially when you can’t ask them to leave. Luckily, Gilbert pest control companies have no problem kicking them out. Whether there’s a rodent in your basement or insects in the attic, call your local Gilbert exterminator to take care of them — do not try to wrangle them out yourself! Not sure which type of home pest control service in Gilbert, AZ can tackle your issue? Read profiles and ask about their past experiences to get a good idea.